Each Lakmé Fashion Week pushes the bar higher in terms of commitment to sustainability and regional diversity, and this time’s was no different. 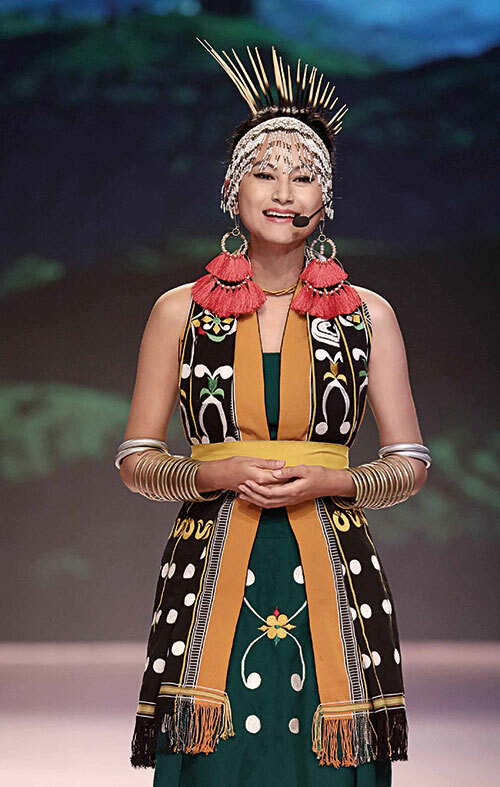 I was most excited by the #NorthEastMojo show where one designer each from Meghalaya, Sikkim, Nagaland, Manipur, Tripura and Assam showcased the brilliant craft heritage of their respective states. Gautam Vazirani and Jaspreet Chandok — the two LFW mavens — had really focused their collective energies on bringing together powerful stakeholders such as the UN, the UK-based advocacy agency Fashion Revolution, and the British Council. I liked how meaty the conversations were. Supply chain efficiency, managing design consistency and scale for exports, increasing the participation of women in the labour force, dealing with various political problems like blockades — the issues discussed were significant, and this wasn’t just tokenism on sustainable day to be forgotten the day after. I am eager to see what will come out of the collaboration. I was also delighted to extend my own collaboration with LFW for yet another season. For the first time in its history, the event witnessed a documentary film screening programme, in collaboration with our Godrej India Culture Lab. Right after the #NorthEastMojo show, we had a packed room for the screening of two short films that explored the warp and weft of our country’s incredible weaving culture, and talked about how the idea of weaving was intrinsic to the idea of India itself. The first film, Tanko Bole Chhe (2010) (The Stitches Speak) was unique in its format. 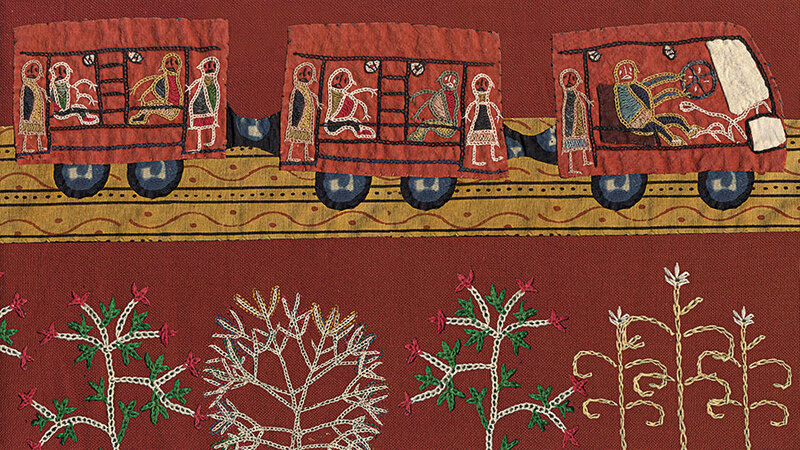 A documentary commissioned by the Kutch artisans of Kala Raksha, it used the artisans’ own art format of appliqué and embroideries as the storyboard for the film that the National Film Award-winning director Nina Sabnani then animated. This is a technique that Nina has mastered — she works closely with craft communities to create animation that is literally unlike anything you have ever seen before. Anjali Monteiro and K P Jayasankar’s A Delicate Weave (2017) was also set in Kutch. In it, we follow four rural Sufi musician groups as they use their songs to spread messages about love and communal harmony. Weaving is not something that we do with cloth alone in our country. We weave our country’s rich syncretic fabric together every day, and this film is an ode to all these cultural weavers who are striving for Hindu-Muslim unity in the face of a hostile political climate. The fabric of India was, is and will always be secular, and I am so glad that something like the Mahindra Sanatkada Lucknow Festival exists and flourishes more and more with each passing year. It is good to think of Lucknow as a city of tehzeeb, of Urdu culture and of syncretic traditions. Sanatkada is the brainchild of Madhavi Kuckreja, a living legend. It started as a craft shop that then evolved into a cultural centre, an NGO. Most of Sanatkada’s team members are Muslim or Dalit women from 32 mohallas. They run programmes that teach technical skills like computer literacy, photography and videography to women. Their huge annual festival is now the crowning jewel in Lucknow’s social calendar. From walking tours of old family havelis, the Imambaras and the Residency, to shopping at Meera and Muzzafar Ali’s Kotwara store and workshop, the festival was a sensual delight. I adored the food potluck where the city’s best home cooks got together and served us a repast from their families’ secret recipes. The lunch started at 1 pm and by 1.30 pm, most stalls had run out! My highlight was the poetry mushaira where I encountered the radiant Sabika Abbas Naqvi. Sabika is inspired by feminist and queer politics, and is the founder of Sar-e-rahguzar, a movement to bring poetry to be performed on the streets. She spoke to us about her sari that is much more than a cloth that drapes, and her kajal — her “siyaah kajal, beimaan kajal, gustakh kajal, seditious kajal” — and I could feel the entire audience sizzle with electricity. It is poets like Sabika, who through their fierce determination, are weaving the nation for us ahead as a free, inclusive and sensitive society, as are filmmakers like Nina Sabnani, Monteiro and Jayasankar, designers Aratrik Dev Varman and others from the Northeast, and curators like Gautam Vazirani that I have written about already in this column. I salute them all.